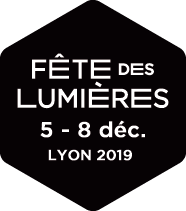 Comprising several hundred LED’s, Luminex is anchored in Lyon’s tradition while at the same time refreshing it: it is a sort of giant candle (4.5 metres high and 3 metres in diameter). Its very seventies 420 light globes will light up and brighten up the central square in the Part-Dieu shopping centre. Variations in light, graphics, intensity and frequency are there to be discovered, like an infinite mirror, from all the centre’s levels.